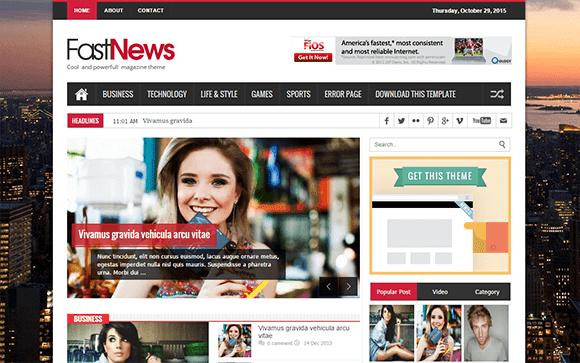 Fast News Blogger Template is an Ultra-Premium boxed style Blogger Template by SoraTemplates. Fast News Blogger Template is faster, better and sleeker than its predecessor. Its features are a jaw-dropping beautiful layout with industry leading custom social and on-site widgets. This template will enhance yours and your visitors Blogger experience. It is fully responsive and functional no matter what screen size your visitors are coming from. It is also perfect for monetization and its compact body makes it a strong Adsense ready blogger template.